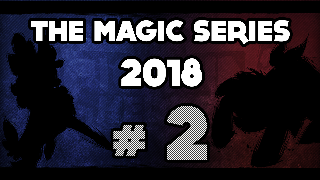 This event is the second tournament in our intended-monthly, online circuit for 2018, wherein we plan to continue hosting associated monthlys in (roughly) the same format culminating in an end-of-year finale! These tournaments, as well as the planned final, are and will remain free of entry fees, and are open to all-comers. Each month will have a base $150 prize pool and the same payout structure, with the exception of the final (finals payouts TBD). For this iteration we won't be running a loser's stream, but stay tuned as the status of that may change. More importantly, TMS2 introduces our new higher participant cap of 32 entrants! Get in there!